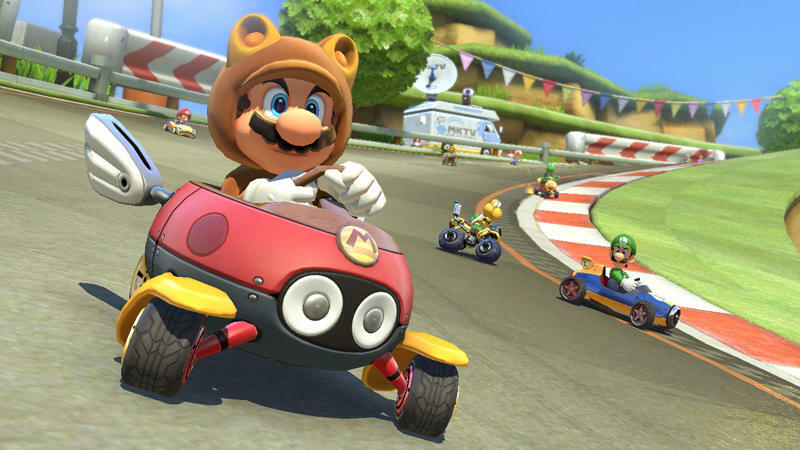 We’ve always dreamt of new Mario Kart DLC—more characters, courses and karts. And it looks like our dreams will finally come true. This tidbit of news sure beats that awful Mercedes DLC we know is coming. According to a listing on Nintendo’s U.K. page, we can expect two different DLC packs—one this November, and the other in May 2015. 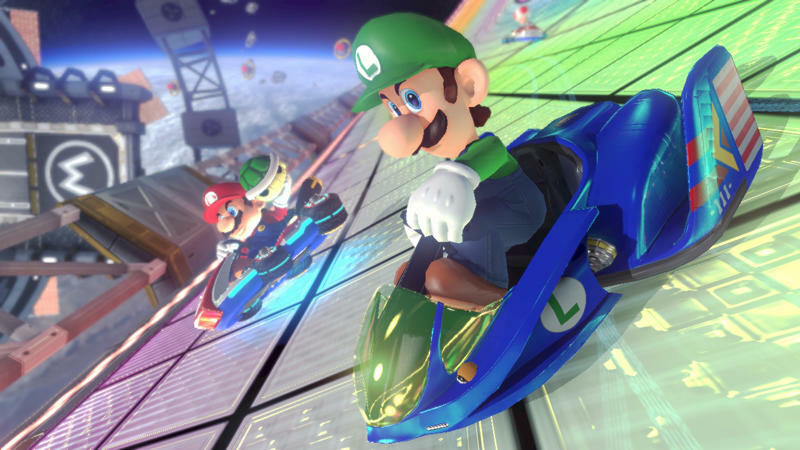 In all, both updates will introduce a total of six characters, four vehicles and 16 new courses, which is basically like getting a new Mario Kart game. 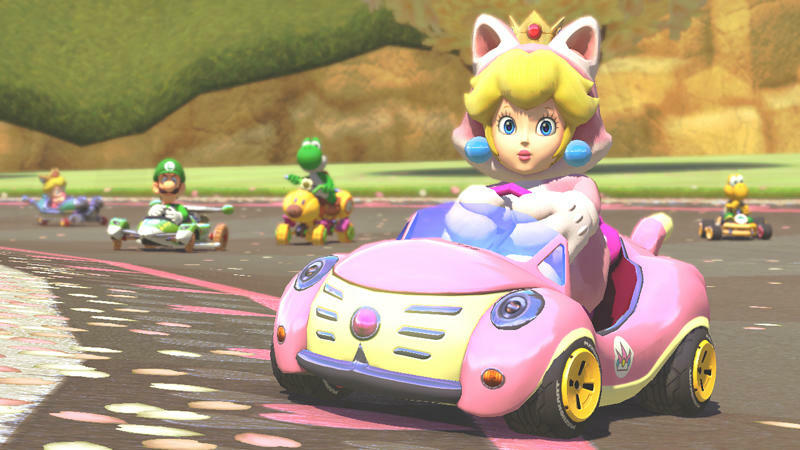 The first pack will introduce Tanooki Mario, Cat Peach and Link, along with corresponding vehicles. 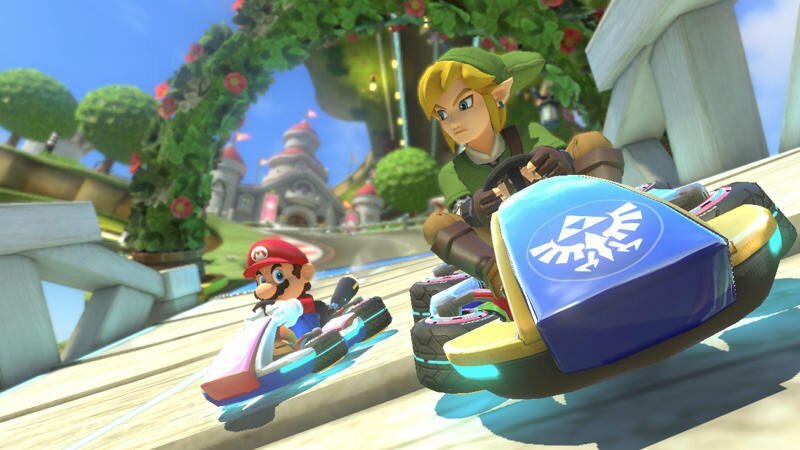 Of note is the Blue Falcon kart, which is from Nintendo’s famous F-Zero franchise. The second pack is set to include Villager, Isabelle and Dry Browser. 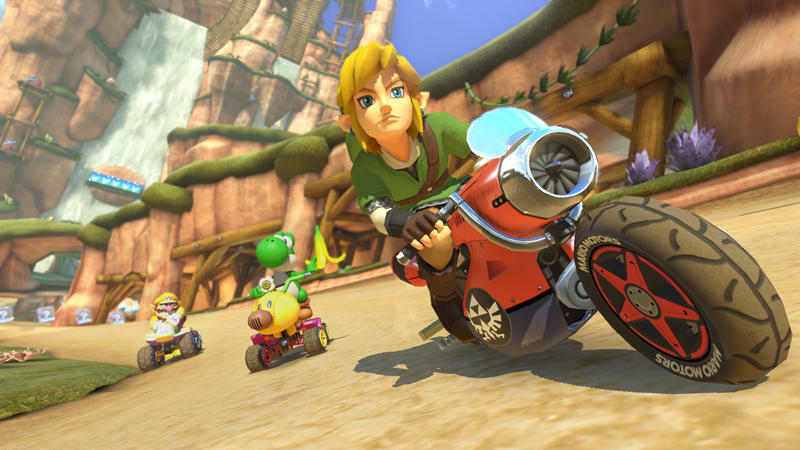 The listing says some of the new tracks will include the dreaded Wario’s Gold Mine from Mario Kart Wii, along with some that take place in the worlds of The Legend of Zelda and Animal Crossing—a first for the Mario Kart franchise. The pictures give us a great look at what these new vehicles, characters and tracks will look like in action. Nintendo says that as a thank you for buying the DLC, you’ll also get eight different Yoshi colors and eight different Shy Guy colors, which can be used as soon as you download the DLC. The listing shows a price of £7, which is about $12 U.S.
With the listing up on an official Nintendo site, an official announcement will likely drop soon. Look out for the first pack to hit this November.